A blimp crashes in Florida. If it doesn’t fit the narrative, does it make a sound? To say you’re a big believer in the power of stories is like saying you believe sunshine is important to life on earth. But I am a big believer. We are raised on stories. We’re immersed in them, through fables and movies and TV. Their power is embedded in our brains. [O]ur brains fit facts into established mental frameworks. We tend to remember news that accords with our worldview, and discount statements that contradict it. Creating a narrative is at the heart of modern political campaigning and the coverage those campaigns receive in the media. The comeback story is one of the most enduring and resonant narratives there is. The media bias debate has taught us that arguments over journalists’ conscious intentions are unproductive, but professional and commercial incentives do exist for journalists to emphasize the drama of a race. By whatever conscious or unconscious means, these may increase journalists’ susceptibility to a “momentum” narrative despite its tenuous basis in fact. Of course, the narrative gives and the narrative takes away. For a couple of months there, Romney couldn’t buy a break. On his brief overseas tour, the #RomneyShambles narrative was set in stone from almost the moment he stepped out of his limo. From there it didn’t matter what he did. He could have brokered a Mideast peace accord and it wouldn’t have registered. Everything from that point — major or minor — was viewed and portrayed through the lens of a disastrous outing by a neophyte to the international stage. In the same way, when you’re on the winning side of the narrative, your foibles and fumbles are ignored. 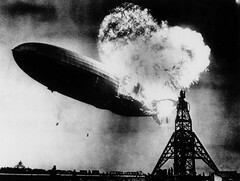 Last week, a blimp carrying a Romney campaign ad crashed to the ground in Florida. That’s the kind of story that makes an irresistible metaphor for a campaign in trouble. Every day reporters are confronted with dozens of incidents like this. A slip of the tongue by a candidate, a scheduling snafu, a technical glitch at a rally. And they must decide how and whether it gets covered — a decision that is inevitably guided by how it fits into the current narrative. And every day, candidates are urged to attend to their narrative. It’s enough to make you worry that storytelling is on the way to earning a reputation for shallowness and manipulation. Like “PR” or “reputation management.” That would be a shame. Hi Rob, I am a big believer in stories, I loves stories. Last week I had the opportunity to lecture in London Canada and one of the most comments I received was that the attendees loved the stories I told because they could relate to them and the similar experiences they have in the workplace. Great post and Happy Halloween! Thanks, Tina. It is rewarding to get that feedback when stories resonate with people — congratulations! Sometimes I worry, though, that stories are too much “sizzle” and not enough “steak.” Probably being overly self-conscious.